• Before you move in, call the area chamber of commerce and request a packet of information. Most of the time, they are happy to help, getting the word out about their town. You can learn a lot from this material, including local history, the businesses in town, events, etc. • Get a detailed map of the town. Sit with your children and look it over with them so they will feel more comfortable with the new area. • Call the local schools to request a tour of their facilities before your kids have to start school. Make sure you locate your children’s classrooms, cafeteria, library, gym and bathrooms. The more information they have, the more comfortable they will be. • Drive around the area often and learn about the local parks, the post office, the closest grocery store, good restaurants, the mall, banks, hospitals, etc. • Walk thru the neighborhood. Make a map, marking down street names, bike paths, parks, tennis courts, etc. • Don’t wait for your new neighbors to introduce themselves. Make a batch of cookies and go introduce yourself. 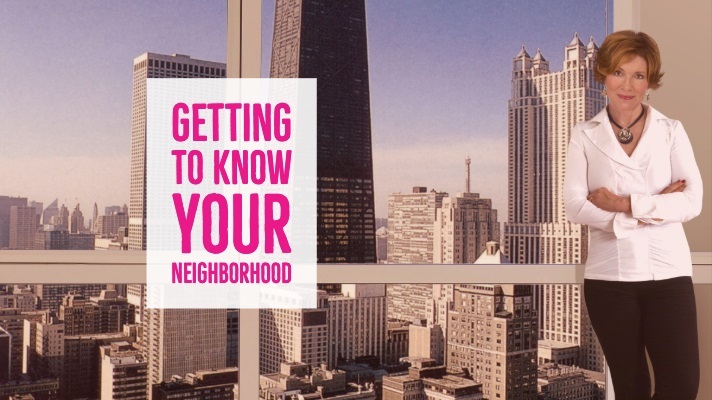 Be sure to ask your neighbors about the area and the local features that they like. • Go to the local recreation center and library. You can sign your kids up for various classes in everything from drama to art to rock climbing and more. They’ll can make friends and have fun learning a new skill. • Be sure to locate other fun local places, such as museums and zoos. If moving expenses have left you strapped for cash, most museums have free days regularly. • Participate in your new community. Join your homeowners association and attend the meetings. Join the PTA. Volunteer at the local food bank. Your new neighborhood will feel like home in no time. Please let me know if you have any questions about making your move. I'm here to help you!